Investor Alert! 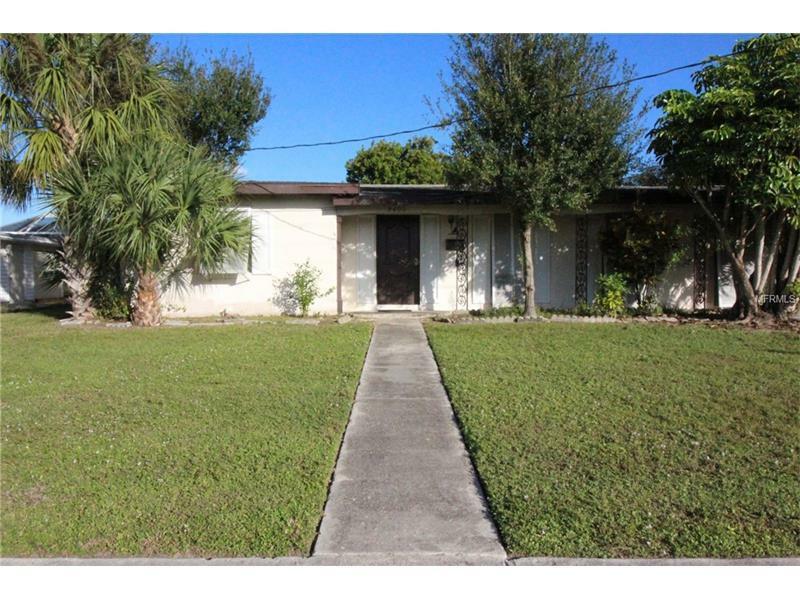 2 Bedroom, 1 Bathroom home with carport located on the Fordham Waterway in Port Charlotte. Great investment potential, flip it or rent it out. Loads of potential. Would also make a great starter home or seasonal retreat. Original solid wood kitchen cabinets and retro style bathroom give this home plenty of character. Updated flooring, baseboards and freshly painted interior. Family room on right side could easily be converted into a 3rd bedroom if needed. Screened lanai and utility room with washer dryer hookup. Mature landscaping and water view. Great location with quick easy access to shopping, dining, schools, golf courses and more. Only 2.5 miles from the Port Charlotte Beach Park Pool, with tennis courts, boat ramp and more. Active alarm system in place for peace of mind while away.